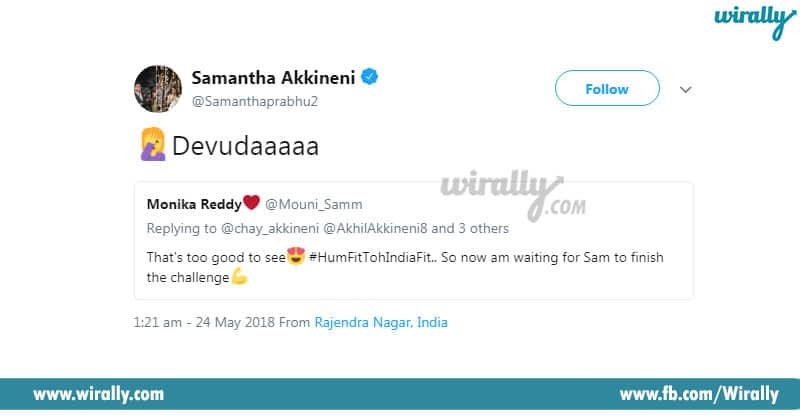 Samantha Akkineni Onscreen aiyyina Gym session aiyyina eppudu hyperactive ga undey ee heroine, 6.9 followers unna twitter account lo kuda anthey hyperactive ga untundi. 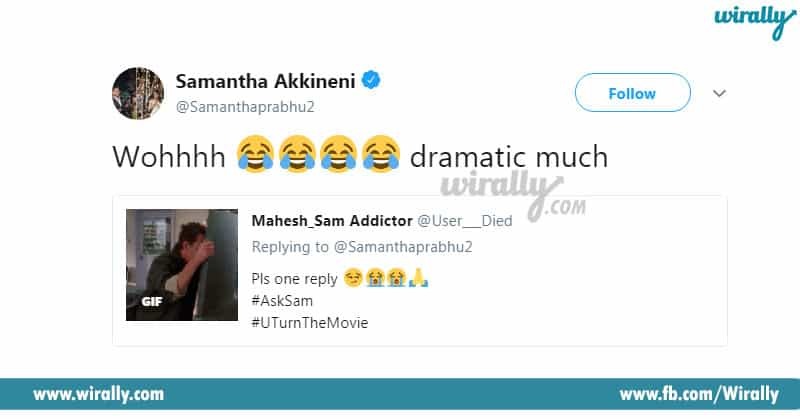 Only film teasers, trailers, and other movie-related buzz ea kakunda other topics ni kuda tweets dwara convey chesthuntadi Sam. Personal tweets varakey parmitham avakunda followers chesey tweets ki tanadaina style lo replies istuntadi Sam. 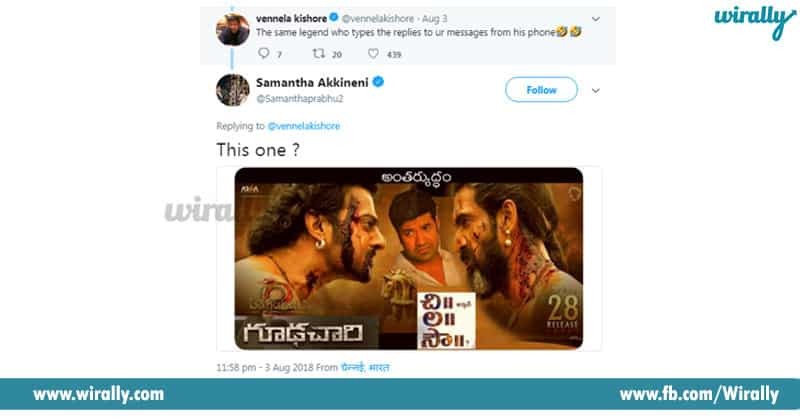 Recent ga release aiyyina Chi LA Sow and Goodachari movies lo Vennelea Kishore roles gurunchi Sam pettina tweet aithey humorous and at the same time hilarious kuda. 10. 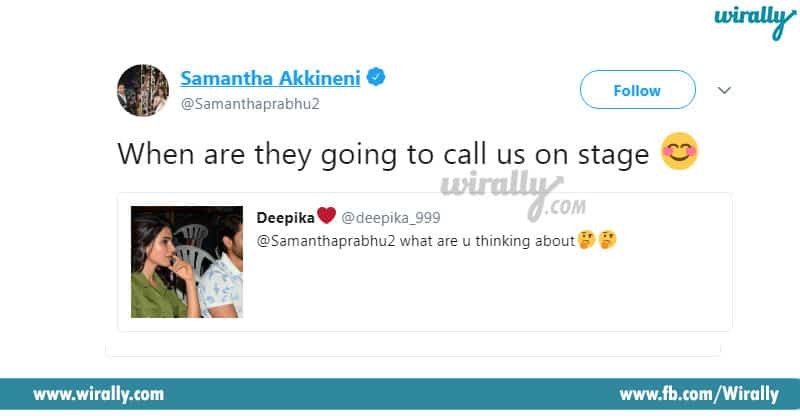 Bonus one from past, a Funny conversation between Nani Jeeva & Samantha about Yeto Vellipoindi Manasu movie shoot.